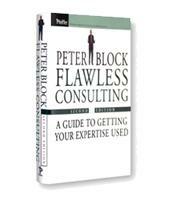 How to prepare for a career in consulting. Ways of behaving with clients. How to have an impact without control. How to help your clients learn how to better function in their world. How to manage yourself as you are consulting to maximize your potential usefulness and deal directly with the resistance you encounter.